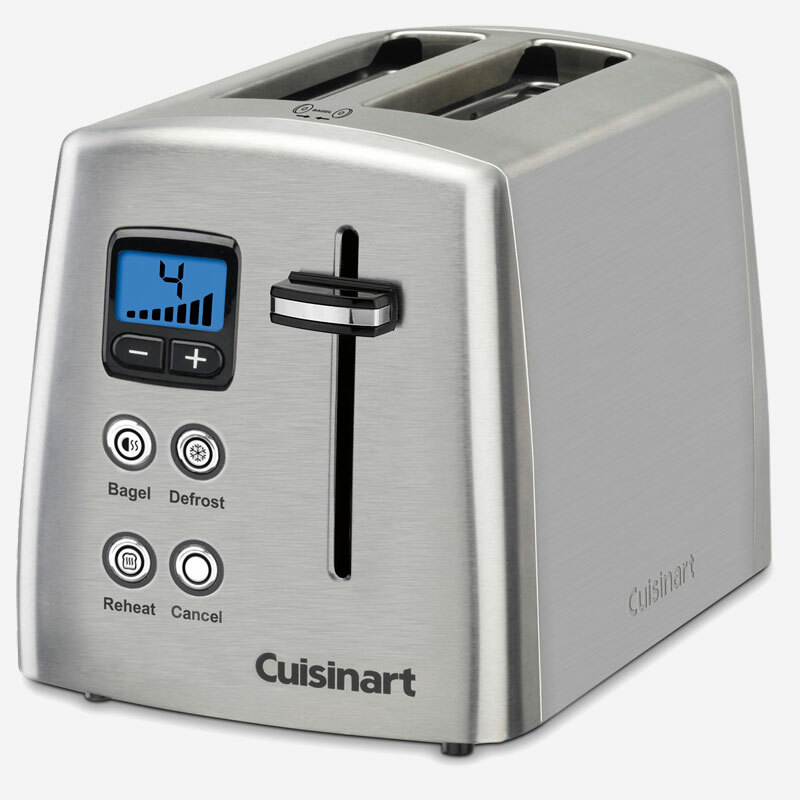 The stylish stainless 2-Slice Countdown Metal Toaster by Cuisinart takes toasting to a whole new level. 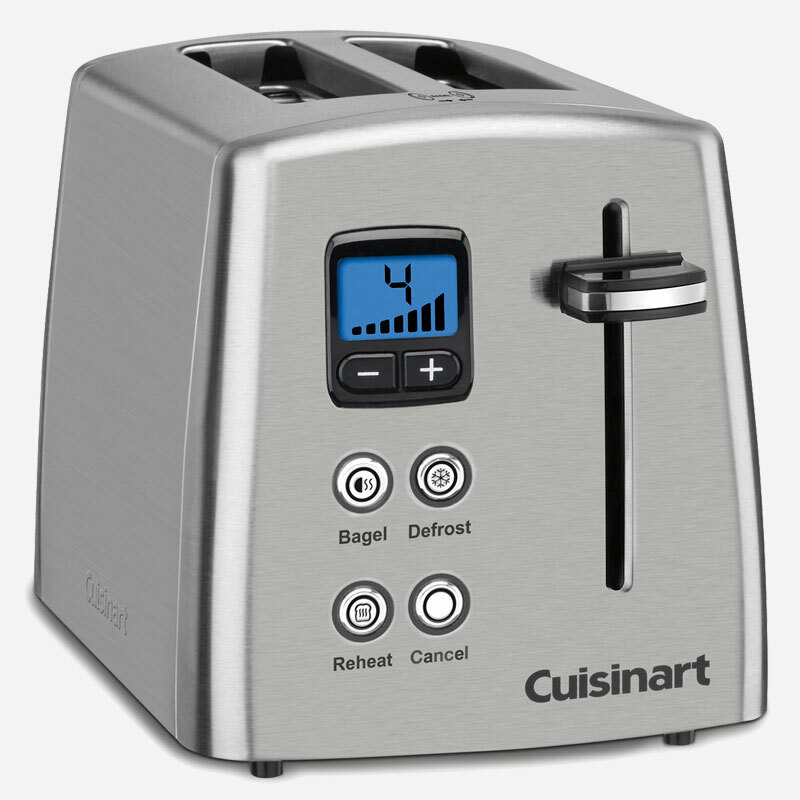 Separate controls defrost waffles before toasting, reheat toast without more browning, and reduce heat on uncut side of bagels. 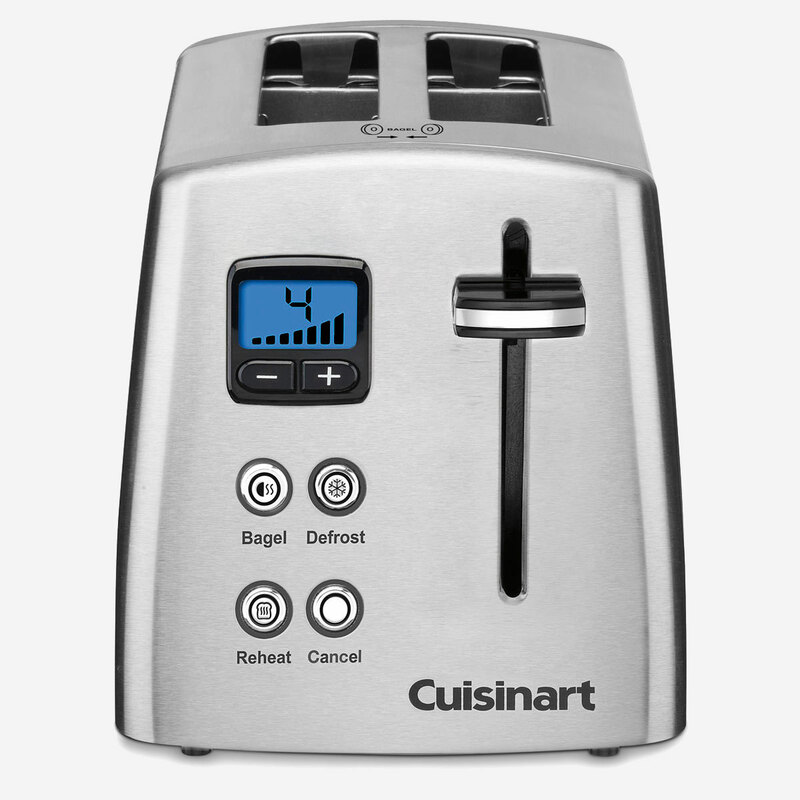 Seven browning settings and self-adjusting slots mean thick and thin slices are toasted as desired. LCD countdown toasting-time bar display makes it easy to keep track. Perfect toast, English muffins, bagels, and more!